Marlo Mortel showcases his piano skills. Kris TV: Why Joel Cruz have many properties? Joel Cruz shares why he have many properties. Kris Aquino and Joel Cruz say it is good to bond with your family most of the time and build more memories. 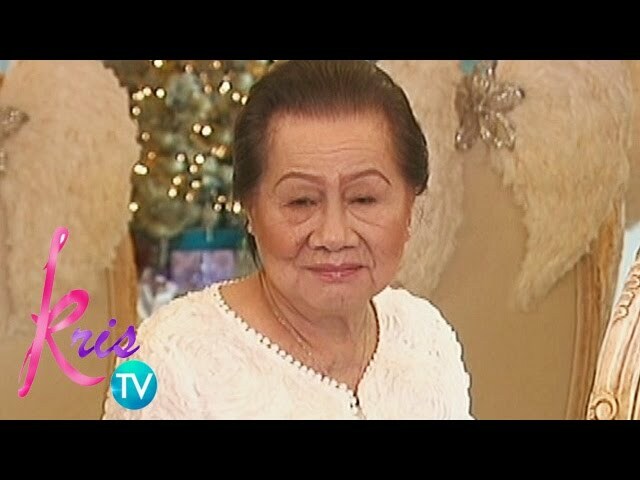 Kris TV: How Joel's mother accepted his gender? Joel Cruz shares the story of how his mother accepted his gender. Kris Aquino, Marlo Mortel, Joel Cruz, and K Brosas talk about what they like about their special someone. Kris Aquino reveals Marlo Mortel's love life. Kris Aquino happily shares the selfie of her special viber friend to her guests. K Brosas shares her love story. Kris Aquino gives Marlo Mortel an advice about physical appearance. Kris TV: How to treat hoarse voice? In order to get rid of hoarse voice, you should have 5 days of vocal rest. Mrs. Milagros Cruz says hi to Kris, Darla, K, and Marlo. Kris TV: How did Joel start in his business? Joel Cruz shares that since high school, he's into perfumes.